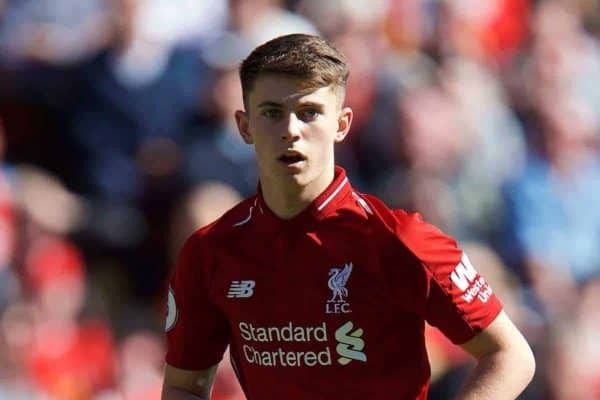 After the pasting of Manchester United, Jurgen Klopp was quick to announce Ben Woodburn was ‘back’—which begs the question: where exactly has he been? Having burst onto the scene in November 2017, the Welshman has had to make do with a supporting role ever since. In truth, that would be overstating his contribution, for last season this once-great hope was handed just two first-team appearances, amounting to a meagre 65 minutes of action. Now, aged just 18, it could be argued Liverpool’s youngest-ever goalscorer already stands at a career crossroads. Indeed, for whom he lines up this season will have a huge bearing on the ones that follow it. Of paramount importance is defining a position, because right now Woodburn appears to be a player without one. Before making his first-team bow, those at the Academy considered him a striker. His international coaches, by contrast, labelled him a midfielder. Bizarrely, we remain none the wiser. 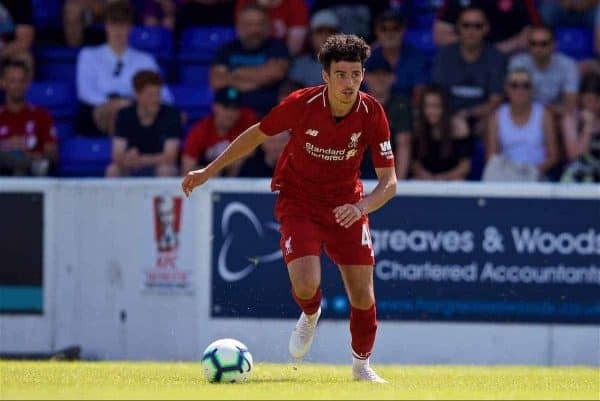 What we do know is, when given game time in Klopp’s maiden pre-season, the teenager operated as a wide forward, a position from which he fired a history-making goal against Leeds four months later. Fast forward to April, however, and he was being handed the unenviable role of lone forward, against Stoke of all opponents. Tough gig. Last summer, meanwhile, Woodburn impressed in a midfield berth, one that came with seeming license to roam. And yet this pre-season has seen him sitting deeper, resembling an auxiliary holding midfielder if anything. Confusion reigns, at least in the stands. What cannot be discounted is that regular rotation may be geared towards preparing him for the rough-and-ready of the Premier League. That would make sense, for the worrying alternative is that Liverpool do not quite know what to do with this precocious talent. The club’s next move is certainly intriguing. A loan would make sense on paper, but only if those at Melwood—and the player himself—agree on what his long-term position will be. Even then, a short-term arrangement is complicated. If Woodburn is to fulfill his potential as a forward, who will realistically take a punt on him? Premier League clubs scrapping for survival want a guarantee of goals and have no loyalty to Liverpool. Blooding one of our kids is hardly an attractive proposition to any of the bottom twelve. In a scenario where one did take a chance, the pressure for Woodburn to deliver goals—and by extension safety—could prove his undoing. The same principle stands at the foot of the Championship. 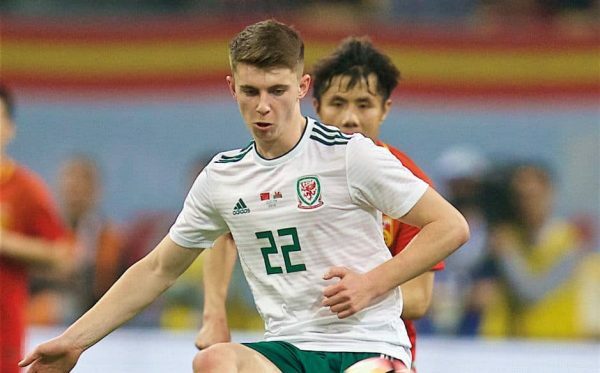 A loan move to Sunderland was mooted in January of last year, but what good would that have done our Welsh wonderkid? Watching John O’Shea and Co. cede to a second successive relegation in front of a half-empty, depressed Stadium of Light? I’ll take the root canal, thanks. Realistically, Woodburn needs to gain experience in a side towards the higher echelons of the second tier, one in the ascendancy, deploying expansive football. The recent loans secured by Harry Wilson and Ryan Kent—to Derby and Rangers respectively—would have sufficed. Then again, the fact those two have been allowed to leave while Woodburn remains somewhat involved, suggests only one has a long-term future at Anfield. Indeed, Klopp may well see a path. He was certainly lavish in his praise Stateside. Growth, of course, is not always linear; occasionally one step back will facilitate two forward. And to his credit, Woodburn hardly bemoaned a ‘demotion’ last term. Instead, he knuckled down and earned praise from the likes of Steven Gerrard. 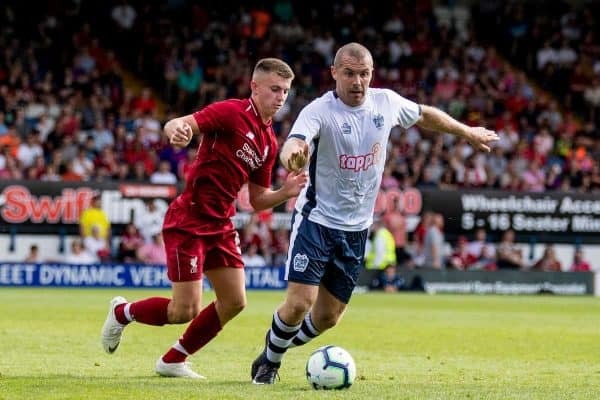 The Reds legend claimed Woodburn’s attitude and mentality rubbed off on his then-Under 19s side, whom he captained. Clearly, the youngster is highly thought of but he should beware the fast-moving nature of football. Tomorrow’s next big thing can very quickly become an afterthought. Indeed, the sudden emergence of Curtis Jones poses an immediate threat to his pathway. In the eyes of many, the young Scouser’s flair, coupled with sheer bravado, mean he is both demanding and deserving of action this season. All of a sudden, Woodburn may be forced to fend off a challenge to his own lowly place in the pecking order, before retraining his sights on the likes of Adam Lallana and Xherdan Shaqiri. That must be a worry. He need also look only at former graduates Jordon Ibe, Jordan Rossiter or Cameron Brannagan to see how quickly the big-hope moniker can fade. The expectancy is that Woodburn will kick on in a manner that trio, and many before them, failed to. The fact he has already represented his country suggests he has more about him. That, or Wales truly are desperate. Even so, it remains a huge fortnight for the young boy. If a loan move is deemed appropriate it needs to be to a team and league conducive to his development. If he is to stay put, there must be the promise of increased involvement, so as to avoid stagnation. 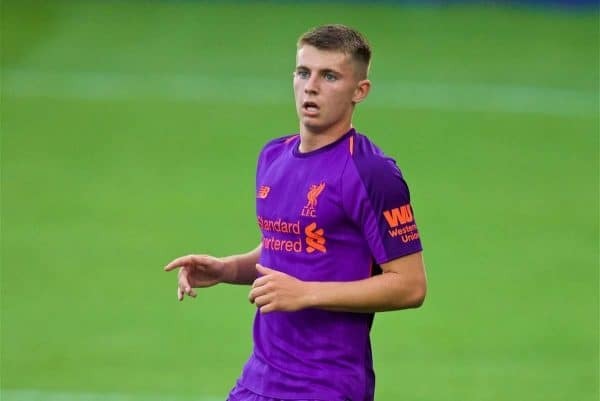 With all signings apparently made, Ben Woodburn’s may just be the most fascinating story left in this transfer window.